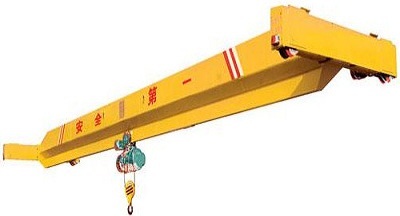 CD-type wire rope electric hoist used separately or in combination with single beam, hoist double girder crane, gantry crane, cantilever crane and others, widely used in railways, docks, industrial and mining enterprises, warehouses and other places for lifting heavy objects. 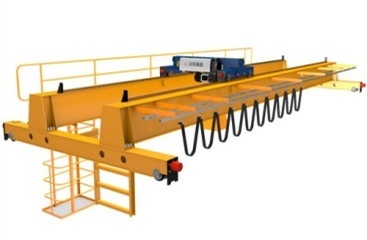 CD-type wire rope electric hoist lifting speed is single-speed, electric hoist including fixed type and running type, fixed type often supporting the use with LH electric hoist double girder bridge crane. Running type electric hoist can make linear reciprocating motion in the horizontal direction and also can make curvilinear motion in a limited arc orbit. 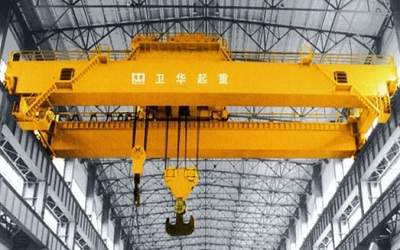 Running type electric hoist often supporting the use with Single-girder overhead crane, Electric suspension crane, Electric hoist gantry crane, Electric hoist semi-gantry crane, Jib crane and others, constituting a variety of hoist cranes. Our company has nearly 30 years of production and design history of electric hoist, has accumulated a wealth of experience in its design and production, and can also design and produce non-standard electric hoists adapt to various conditions. CD-type wire rope electric hoist is mainly composed of: Lifting motor, reducer, drum device, hook set, electric control system, traveling trolley, safety devices and other components. ZD-type lifting motor is conical rotor three-phase asynchronous brake motor, standard motor insulation class B, protection class IP44, can be also made F&H- insulation class and IP54&IP55 protection class according to conditions requires. The motor has such characteristics: good heat dissipation, long life use, safe and reliable, can work long hours at high intensity workplace. Drum device consists of drum shell, rolls, intermediate shaft, guide rope device and limit guide rod device. Reel device installed lifting reducer in the left, hoisting motor in the right. Reel and reel shell composed of Q235B rolling steel, with high compressive strength, large carrying capacity. Guide rope installed in drum that can make the wire rope in order without chaos. And also push rod guide device movement by moving the guide rope pallets to achieve electric hoist rising and drop limit stop protection. When the hook down to lifting height position, safety turns of the wire rope on the drum not less than twice turns (except laps fixed rope tail). Rope select line contact wire rope NAT 6 × 37 + FC model, with tensile strength 1570MPa. Safety factor is greater than 4.5 times. Hook part have two types: single pulley type is applicable to the lifting mechanism that has two winding wire rope sets. 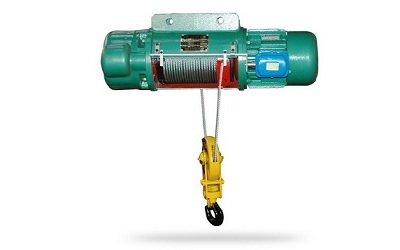 Double pulley type is applicable to the lifting mechanism that has four wire rope sets. Hook set: material DG20, safety factor is greater than 5, hook with the decoupling device that to prevent the wire rope separate from hook, ensure safety and reliability of the hook during operation. Electric hoist traveling trolley composed of traveling motor, reducer, wallboard, driving& driven wheel set, flat nut, bolt and adjusting pad. A. Lifting capacity ≤5 ton, lifting height ≤9 meters, install one set of driving traveling trolley. B. 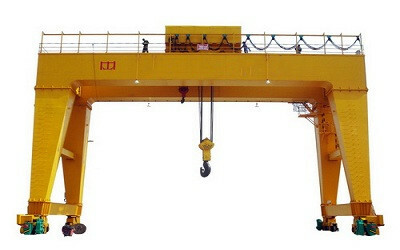 Lifting capacity ≤5 ton, lifting height 9≤H≤30 meters, install one set of driving one set of driven traveling trolley. C. Lifting capacity≥10 ton, installation two sets of driving traveling trolley. Motor and reducer of electric hoist traveling trolley: Material and structure same with the motor and reducer of lifting mechanism. Wheels are through precision machining with 45 # steel. Electrical parts of CD hoist controlled by the electrical box. Electrical components inside of control box fixed above the inside box bottom, with reasonable layout, electrical circuit simple to understand, convenient for daily maintenance. Electrical components typically use CHNT low-voltage electrical or equipped with Schneider, Siemens and other brands with high quality low voltage electrical components according to customer requirements. Control box protection class IP44, can also be equipped with the highest protection class IP55 control box according to customer requirements. CD-type wire rope electric hoist power supply can be designed below three-phase 690V, 50 ~ 60HZ frequency control system according to customer requirements. CD-type wire rope electric hoist electrical control mode is divided into switch direct control mode and inverter frequency control mode. Inverter brands such as: Mitsubishi inverter, Yaskawa inverter, Siemens and Schneider frequency inverter, etc., for customer to choose. Operation mode including cable handle ground operation, remote control. Even can be installed cabin operation. CD hoist electrical protection functions: voltage protection, ground protection, short circuit protection, overload protection. Upper and lower limit protection: fire limit device composed of the fire stopper and guide rods. Fire stopper mounted on terminal box of the lifting motor, for the upper and lower limit protection of hoisting mechanism, its working principle is: the rope guide card board toggles the guide bar leading to drive the fire stop limit switch and cut off hoisting motor power. Overload limit protection: overload limiter issue pre-alarm signal when the load reaches 90% as rated, when the load reaches 110% of rated weight immediately cut off the lifting power supply and issued prohibitory alarm signal.